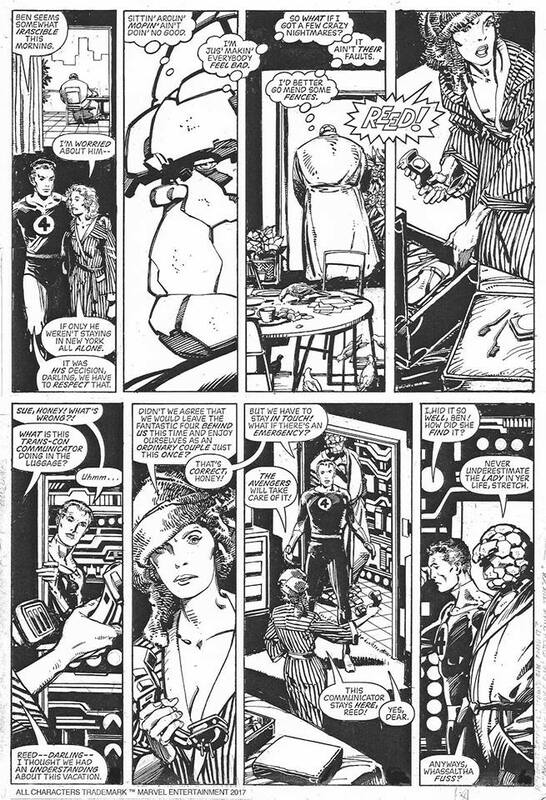 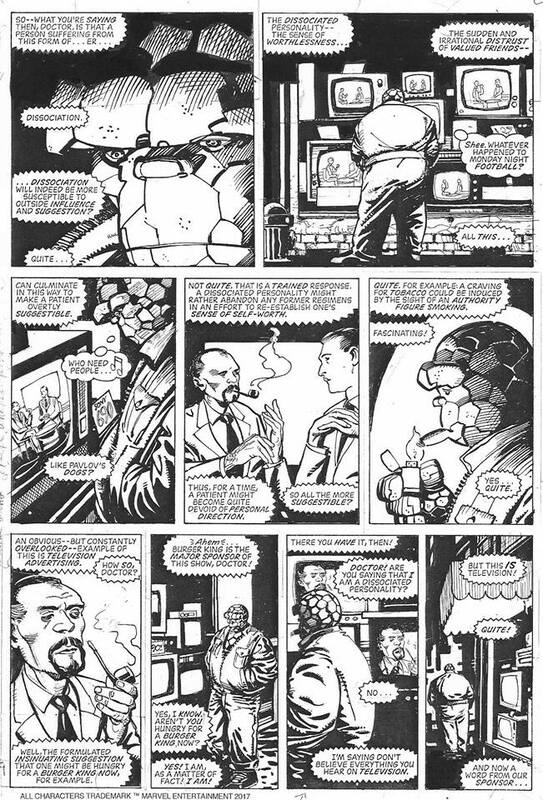 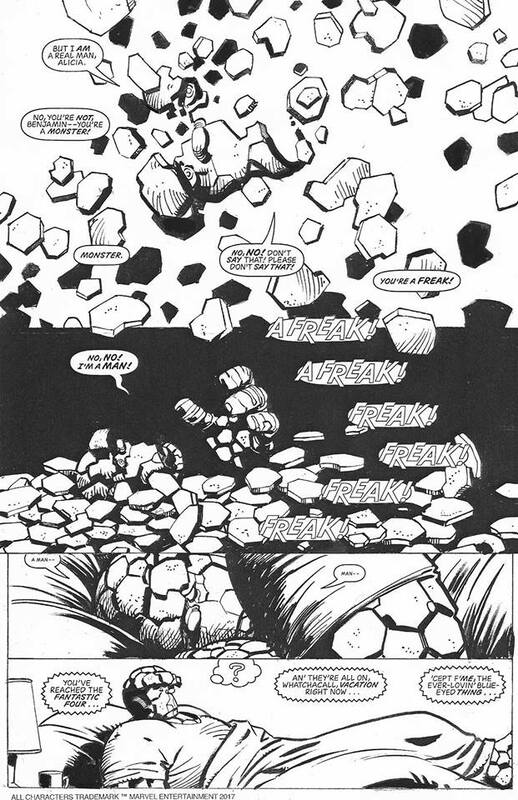 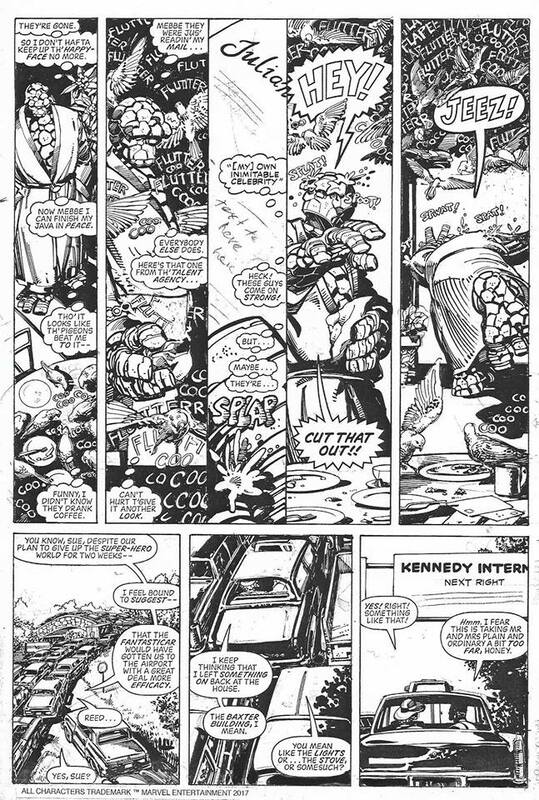 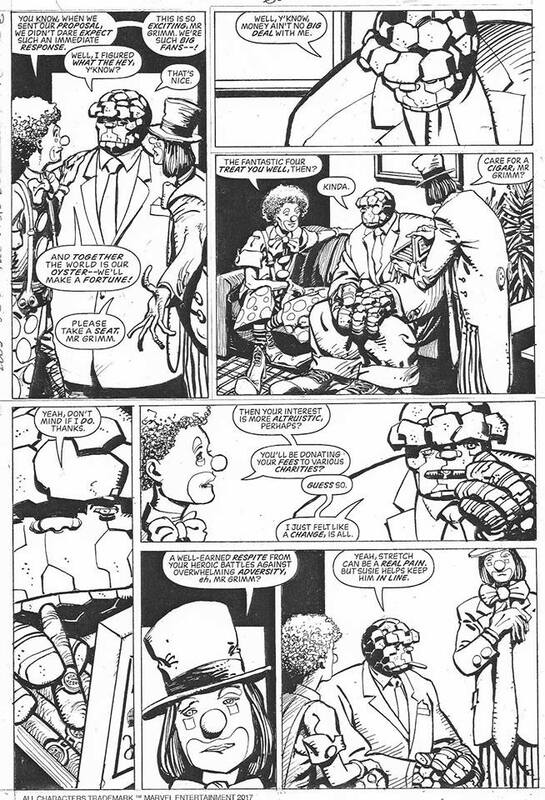 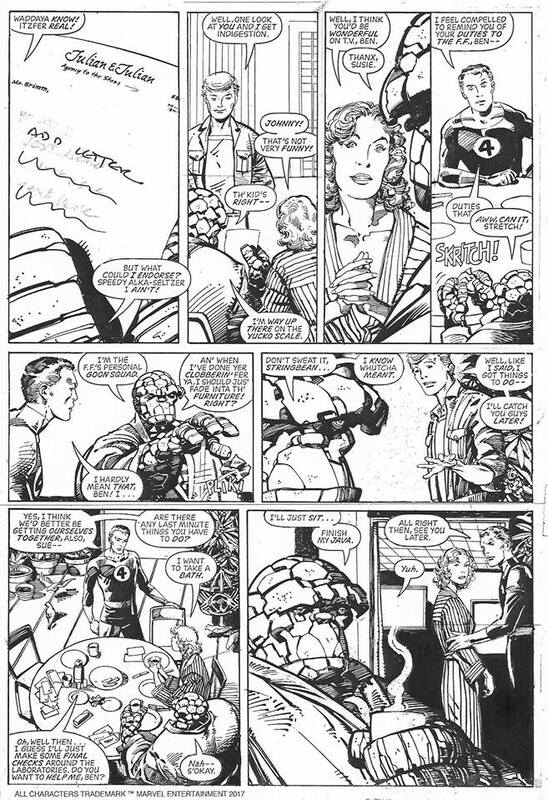 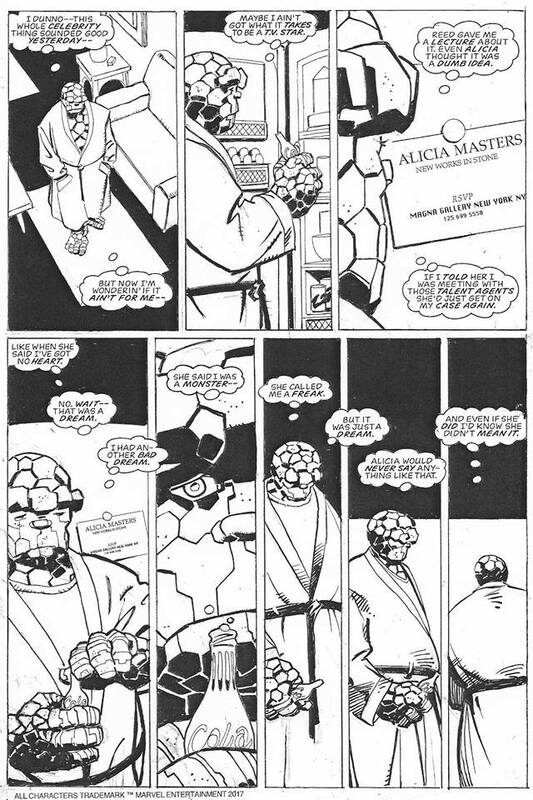 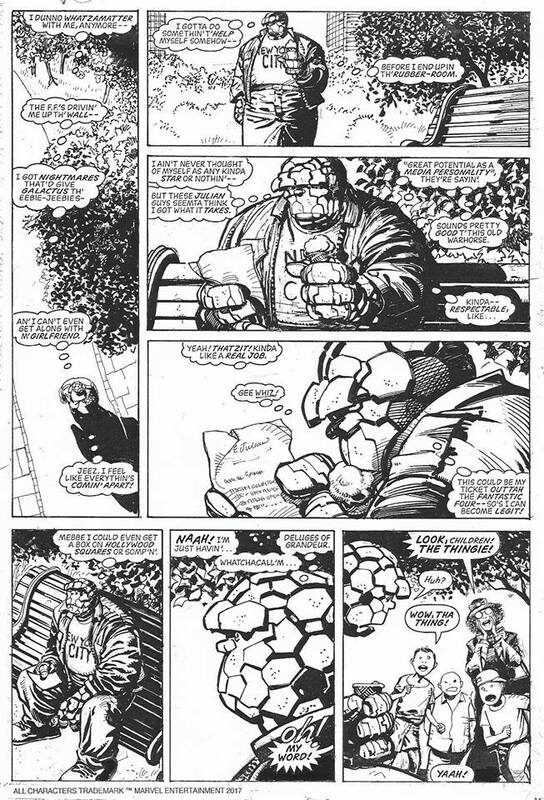 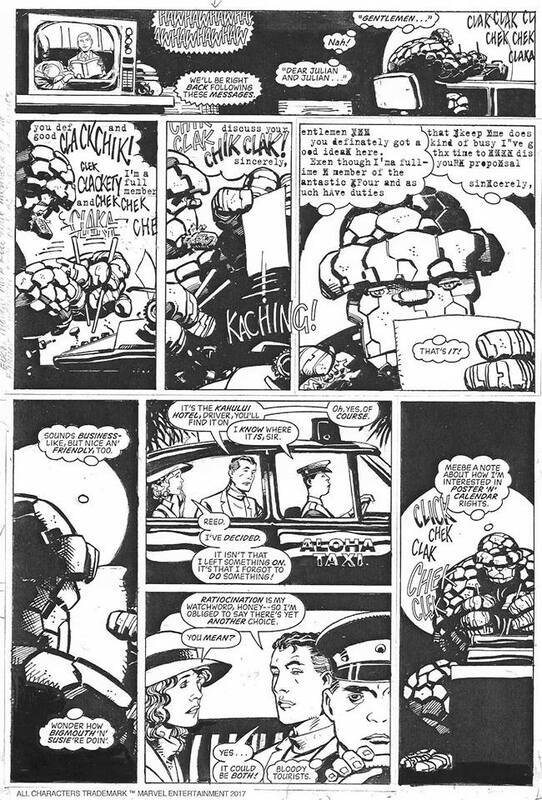 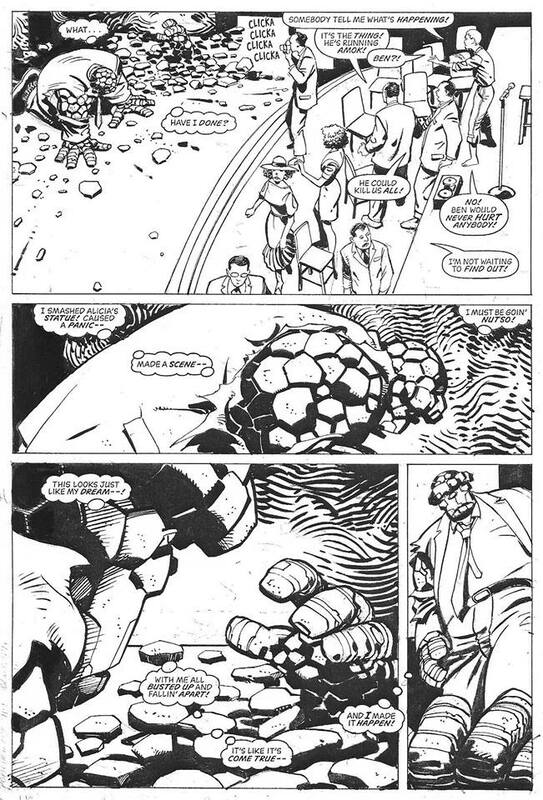 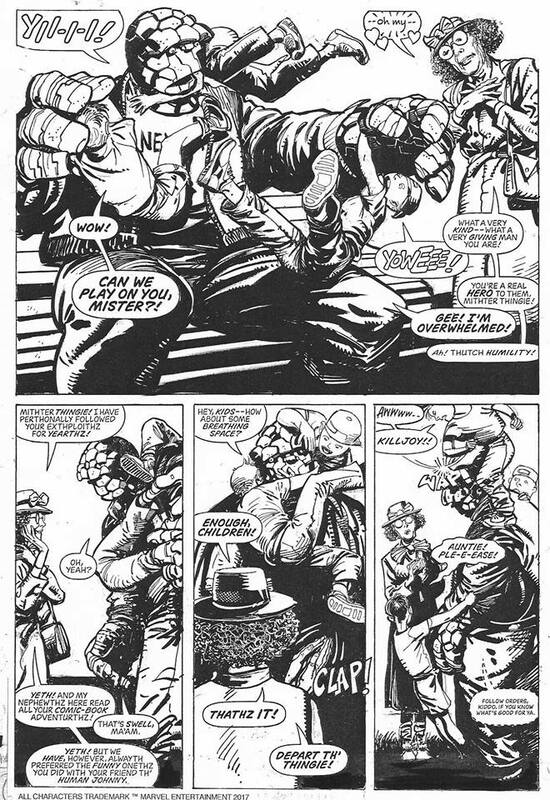 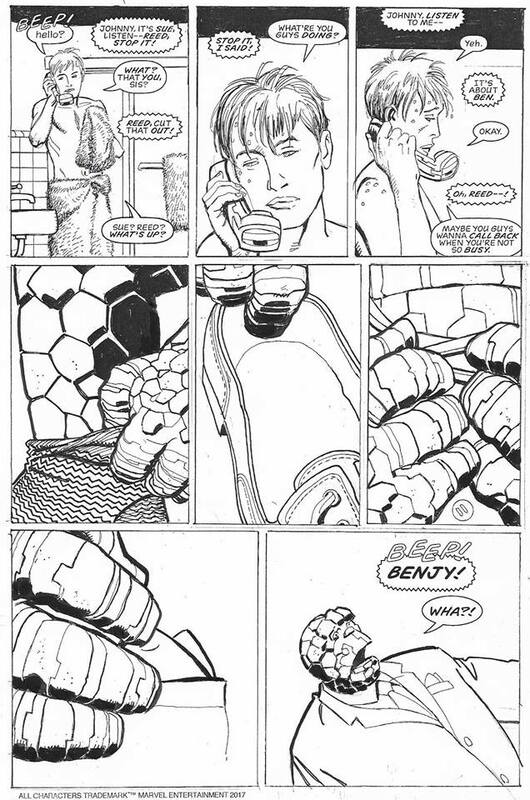 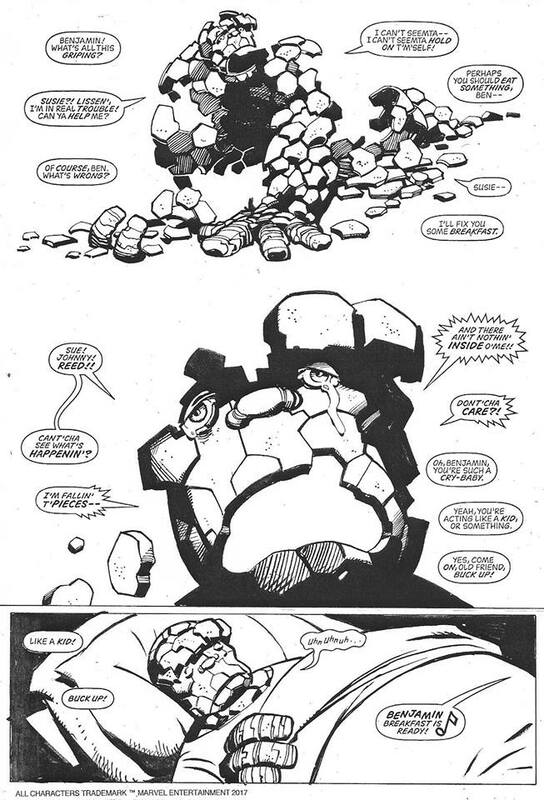 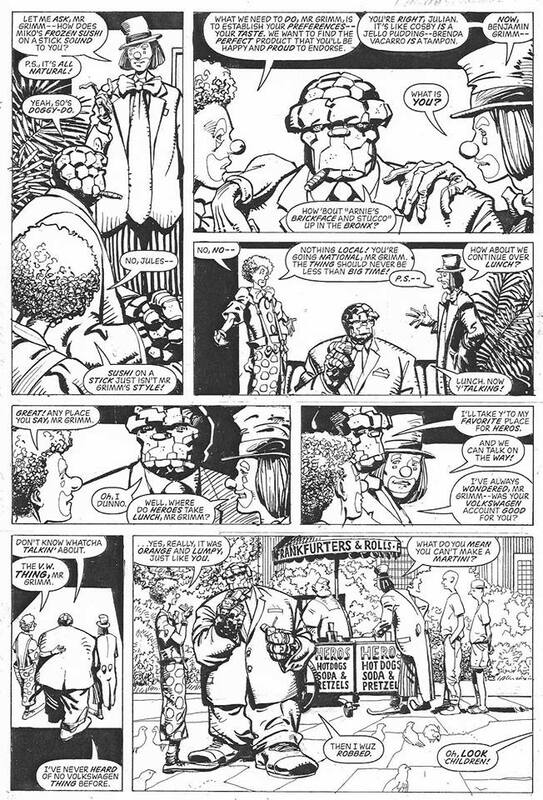 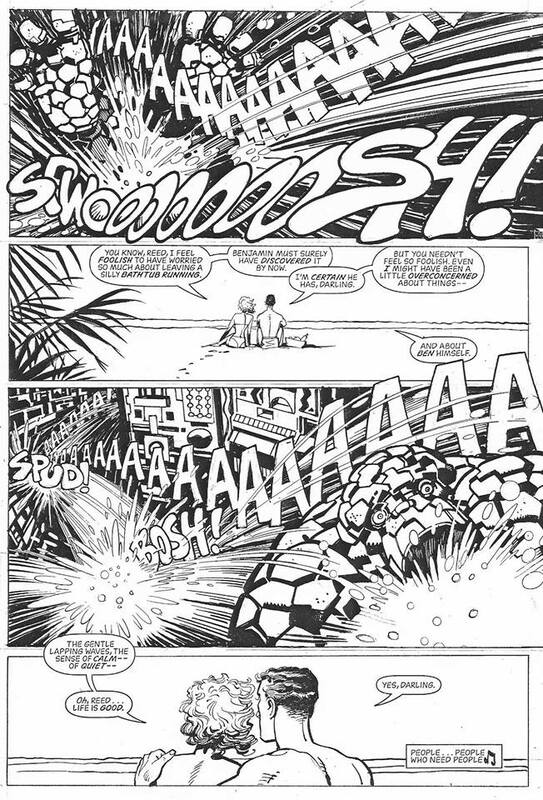 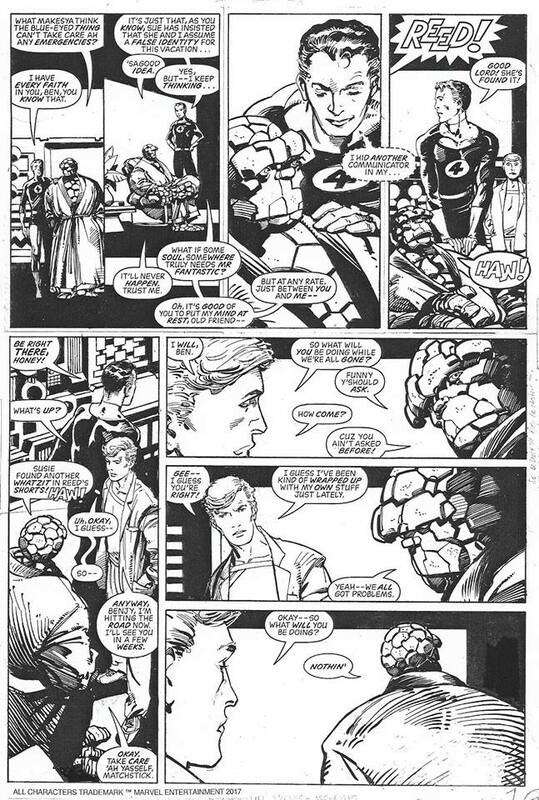 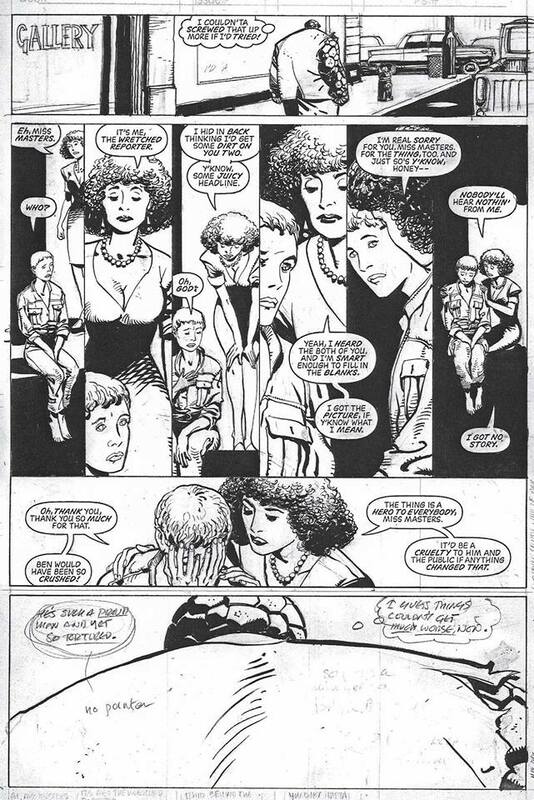 Last week, Barry Windsor-Smith posted a series of previously unpublished pages to a Fantastic Four story from 1984. 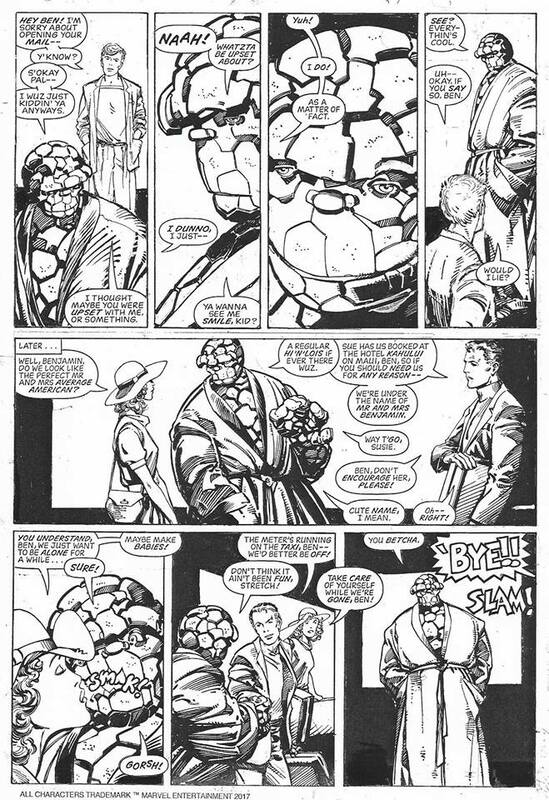 Since he didn't provide much context, I'm presenting some here (along with all the relevant pages Windsor-Smith posted for anyone not on Facebook). 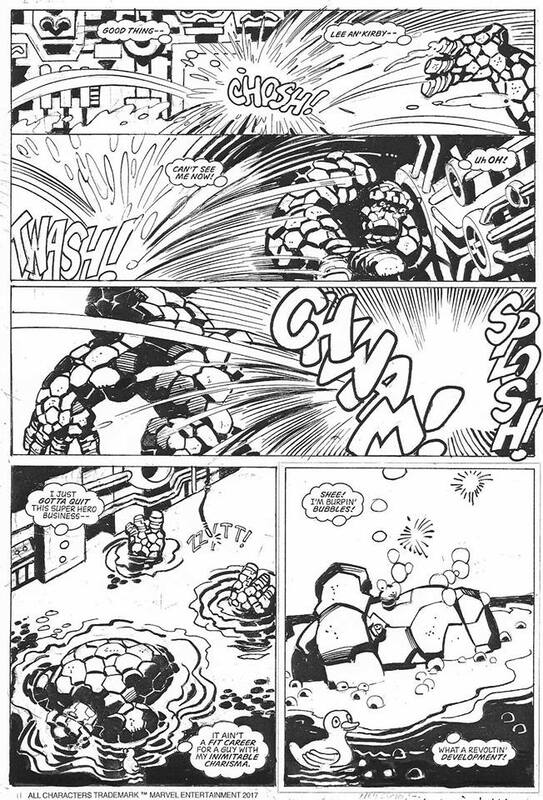 Windsor-Smith hasn't worked much with the Fantastic Four. 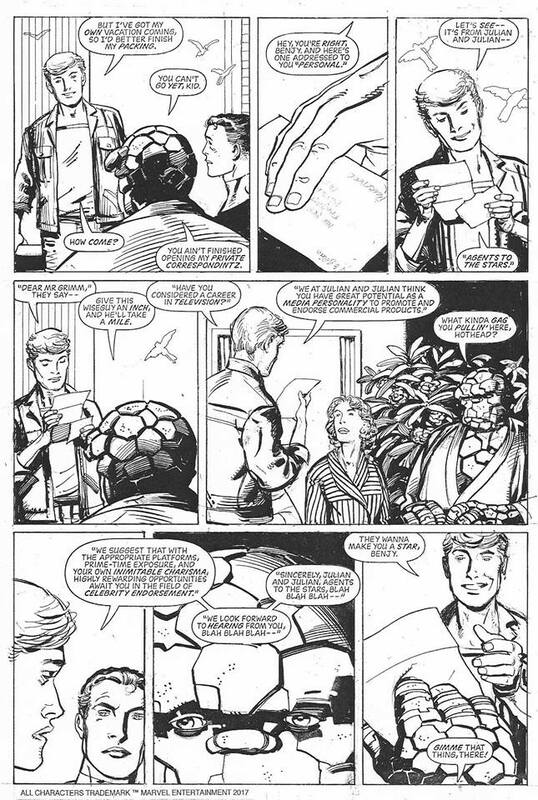 There's one stand-alone story from Marvel Fanfare #15 and a handful of pages from Fantastic Four #296, the 25th anniversary issue. 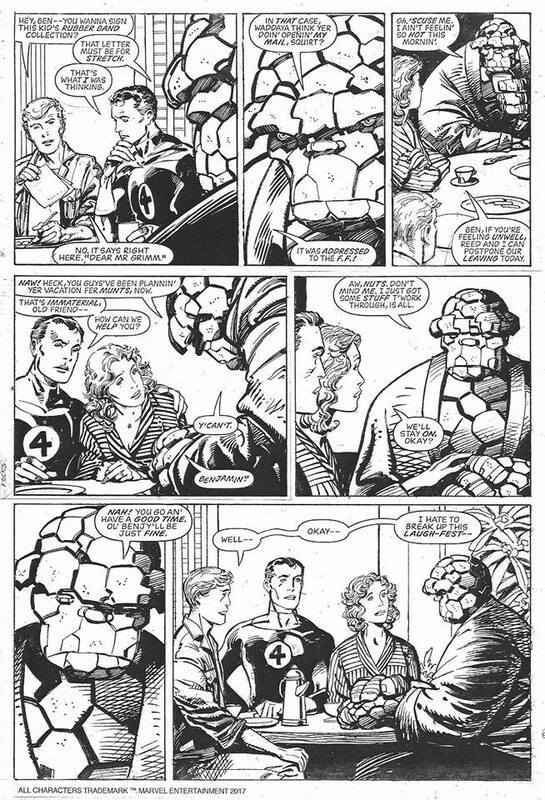 Aside from that, the only other published piece was the cover for Fantastic Four #50 back in 2002. 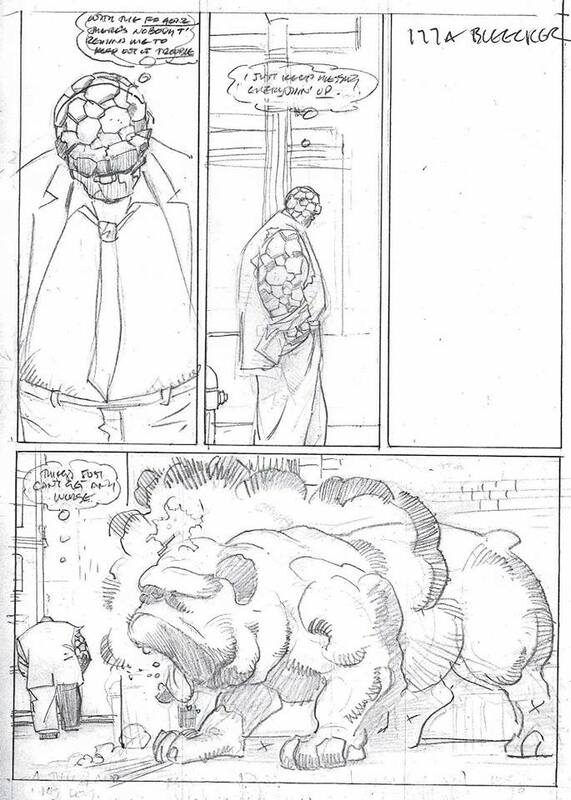 So where does this unpublished piece fit in? 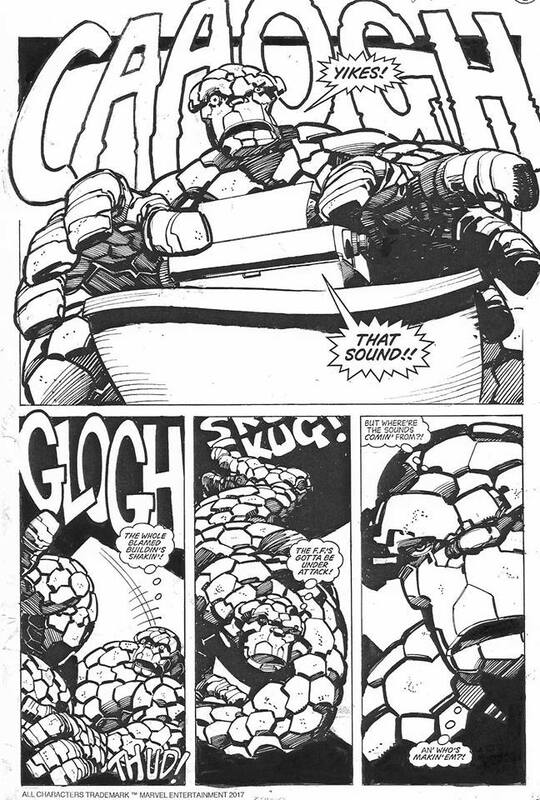 After working on that Marvel Fanfare story, which was very well-received, he started work on a four- or five-issue mini-series starring The Thing. 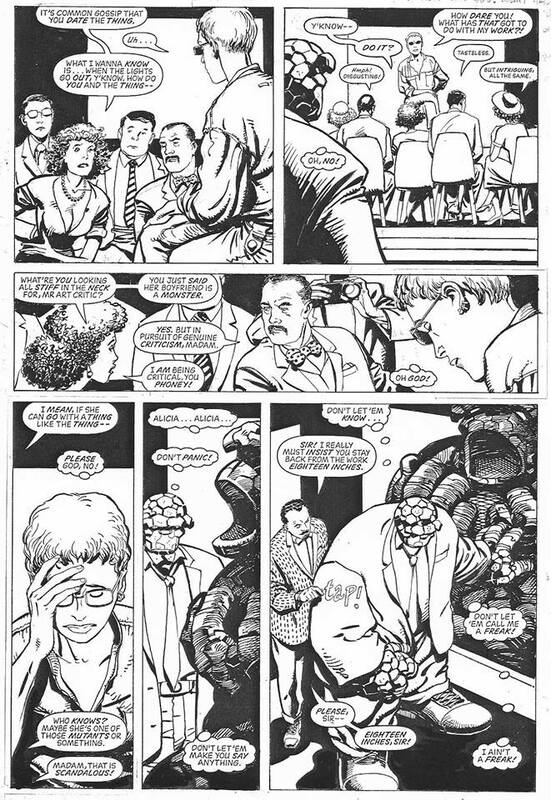 Quoted by Alan David Doane, Windsor-Smith has stated that he had "completed two 22-page chapters in pencil, part inks, part script, and partial lettering. 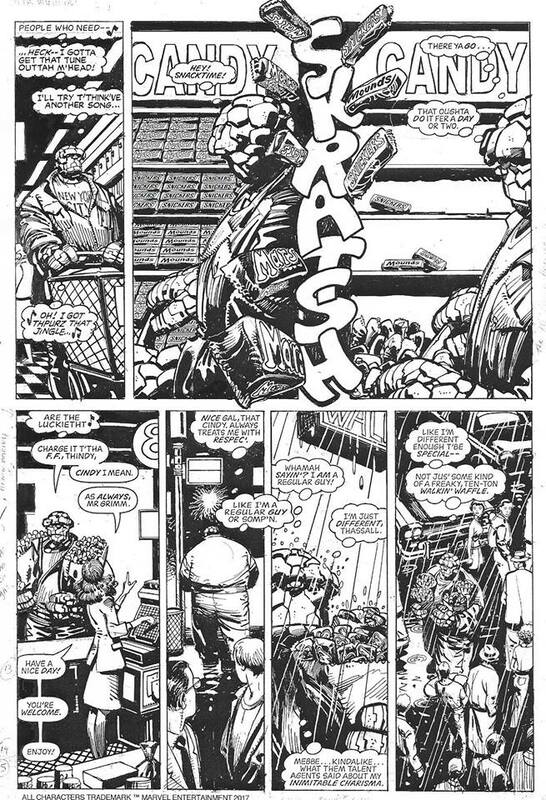 The story foundered for a while and in the meantime I created Weapon X, after that the Thing series was largely forgotten until 2005." 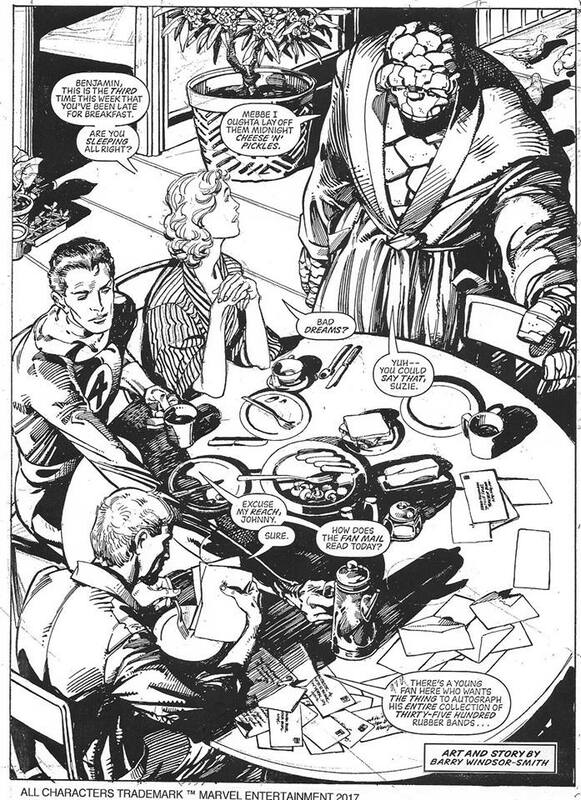 It would seem that's when Windsor-Smith himself came across his old art files. 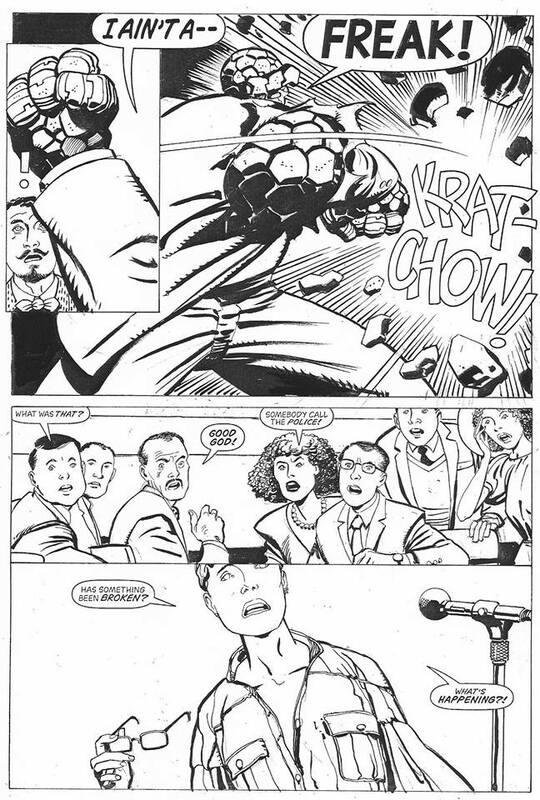 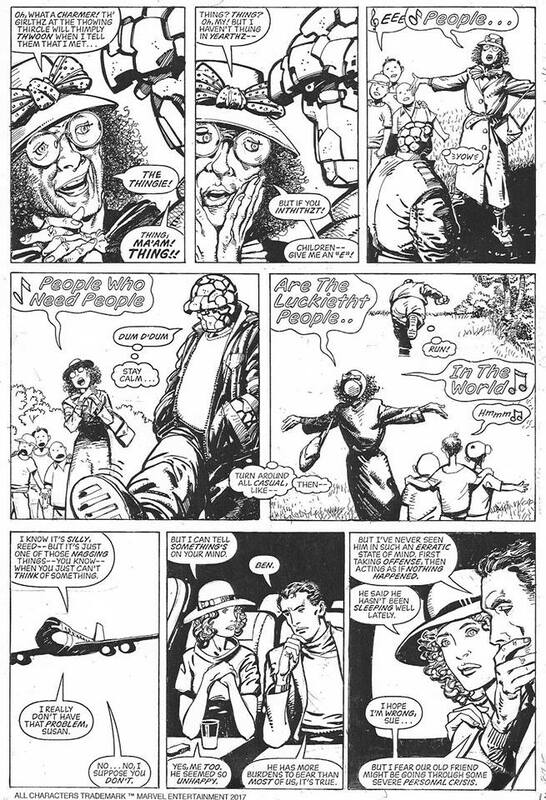 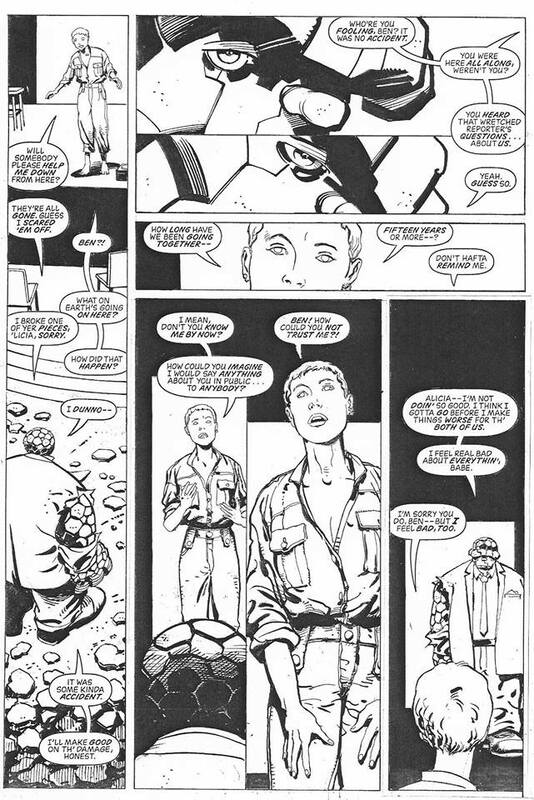 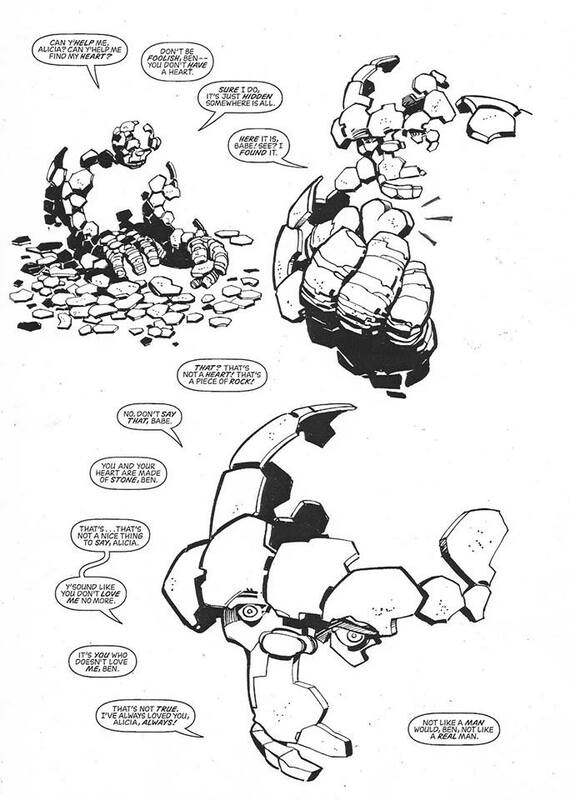 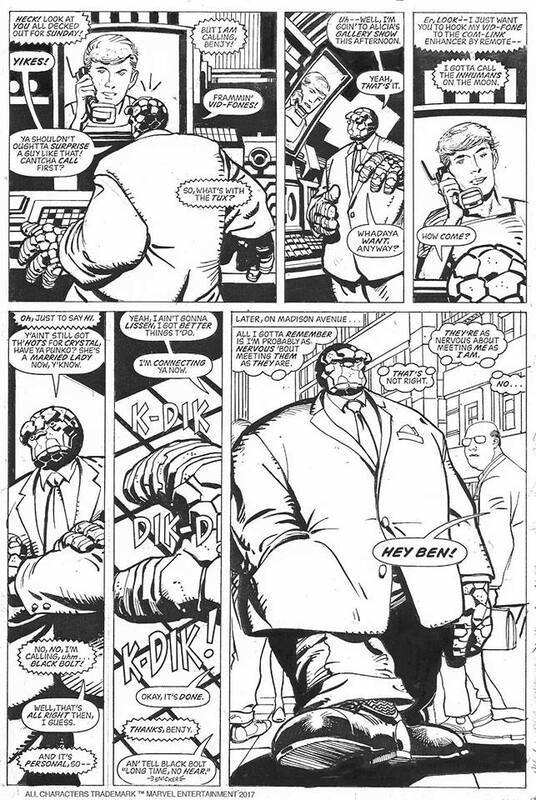 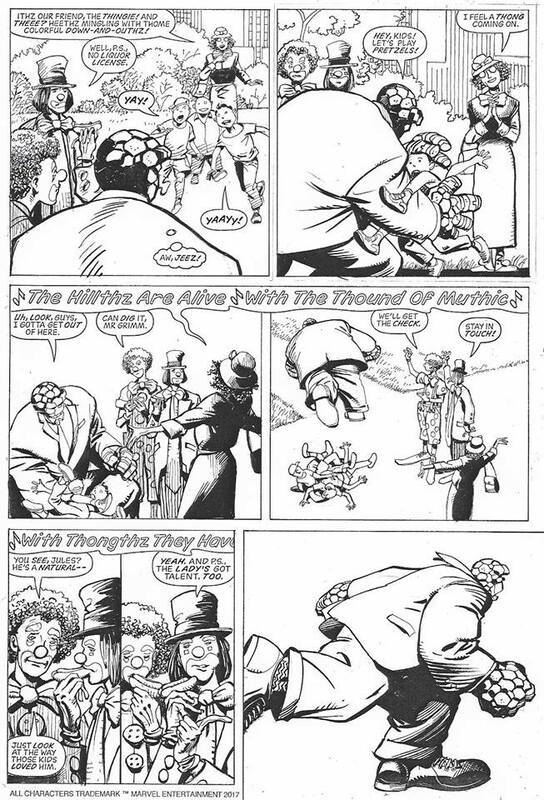 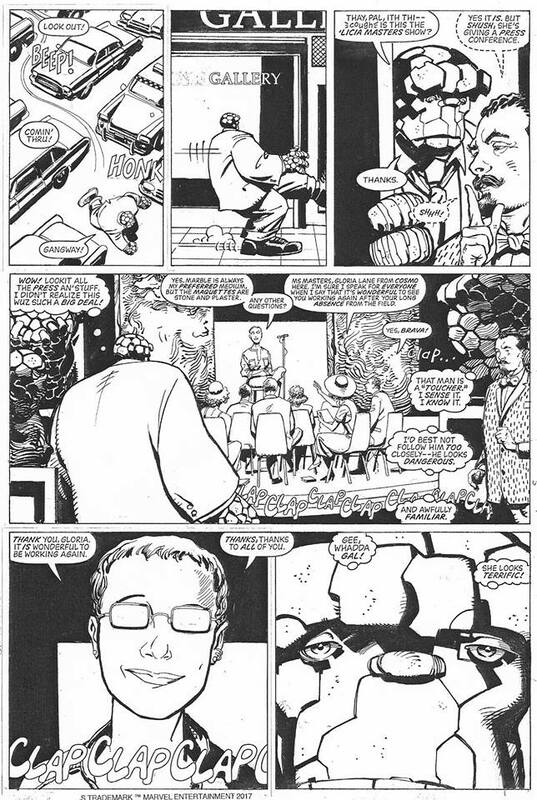 He knew the story was unlikely to sell as a limited series in the then-current market, so he switched gears a little to develop it as a single graphic novel. 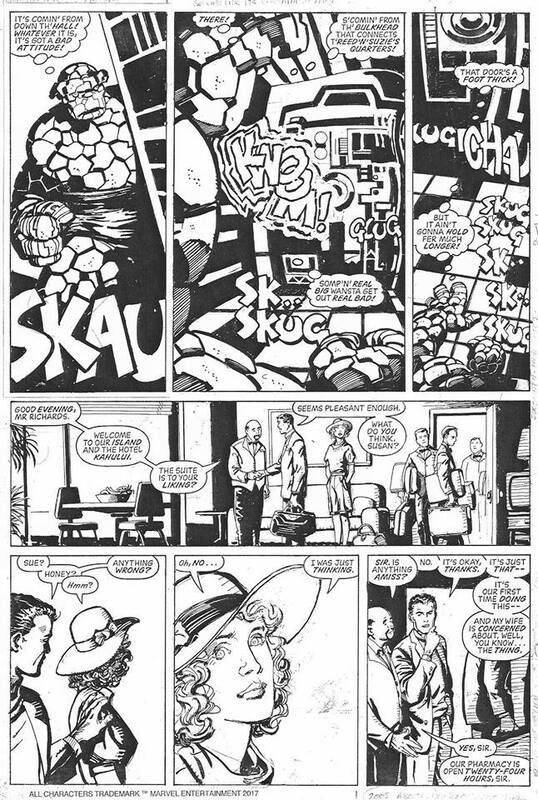 My concept for publication is to present the work in a single volume -- hardcover and trade paperback -- with editorial material explaining the history of the story and including the many visual out-takes culled from over the years. 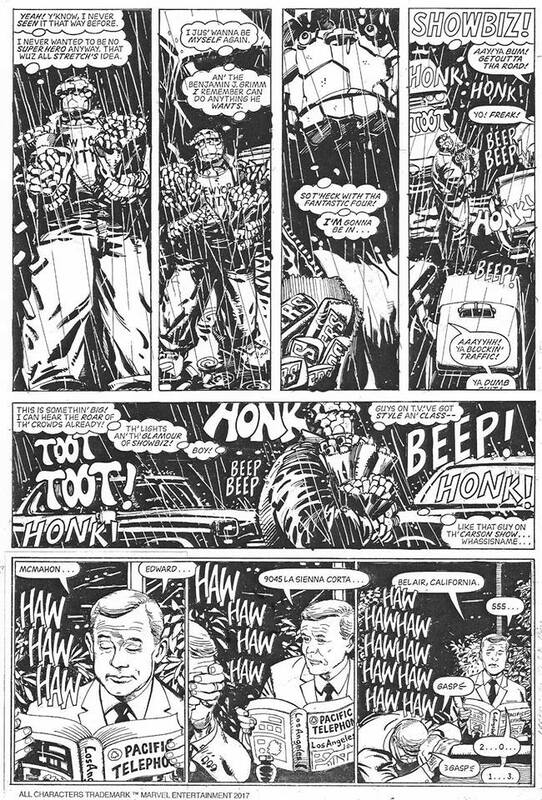 This will not only be rewarding in an historical way but will allow a smoother transition from the look and sound of my 1980s work to my somewhat different style of 2005. 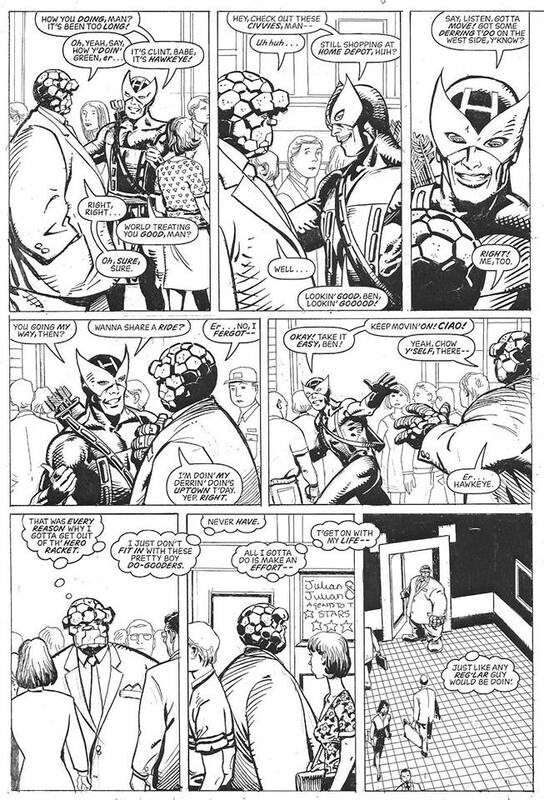 Mind you, Marvel has yet to green light this project, we're still in talks. 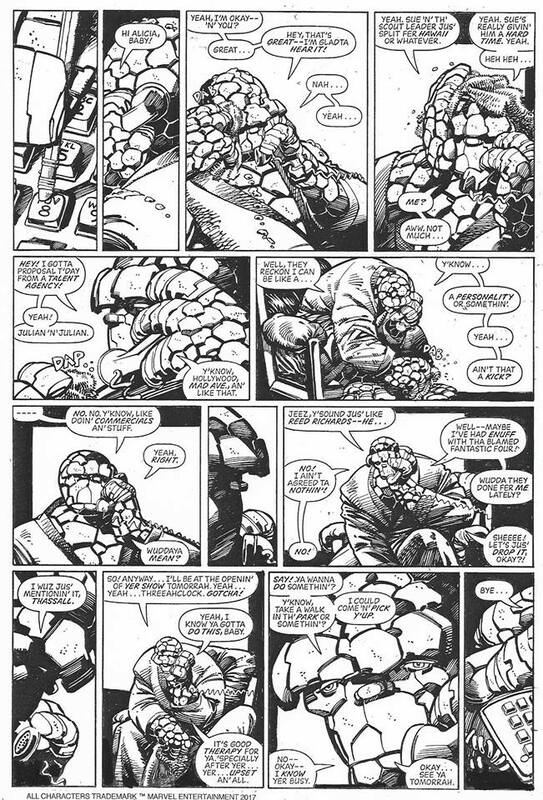 In looking through what Windsor-Smith posted, I don't see anywhere that really looks like it would serve as a break between issues. 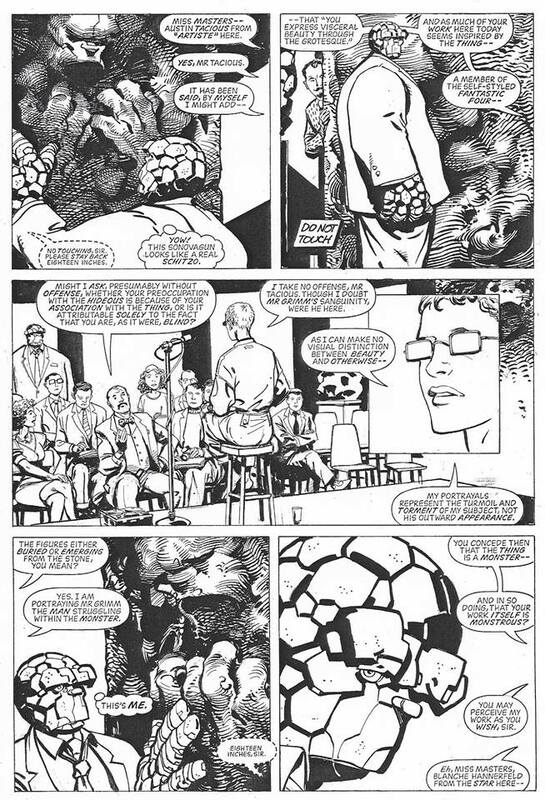 My first thought was that he'd already started re-working the piece since what we see strikes me as a heck of a lot more than "pencil, part inks, part script, and partial lettering." 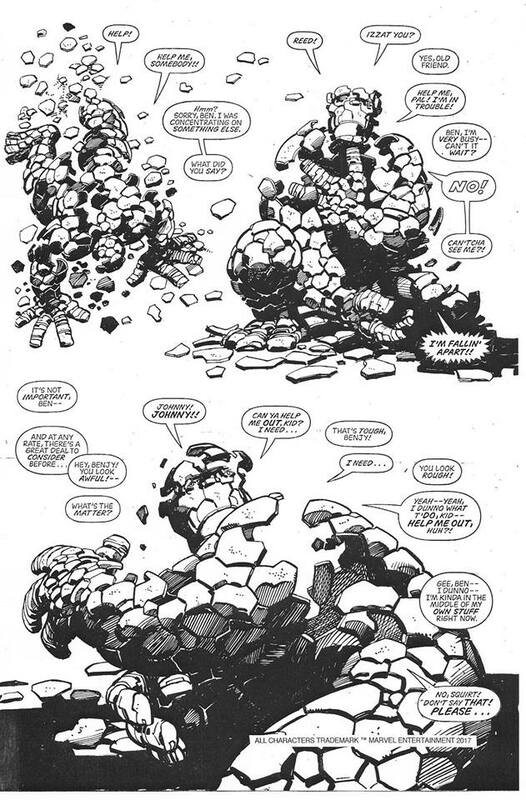 But since what he's posted is a 48 page story (with one page in the middle missing) I'm inclined to think it may have been set up as two larger issues, instead of four smaller ones.